…or, what happened to the FAA? On Friday, Congress failed to pass yet another extension of the FAA’s authorization. Beginning in 2007, Congress could not agree on the terms of an FAA reauthorization bill, and this stalemate has continued for the past four years. In the interim, Congress has passed 21 extentions of the prior authorization, but, the last extension expired Friday. There will be no lay-offs for air traffic controllers, but, the rest of the employees will be getting furlough notices beginning today. What went wrong, you ask? The root cause of the problem is how the FAA spends your money. We have numerous airports throughout the country that handle very few passengers a day. Because of the lack of traffic, it is very expensive for airlines to service these airports, when, as an example, no more than 20 passengers a day are either arriving or departing. So, the FAA started a program years ago that essentially subsidized the cost of air fare to and from these airports. It was claimed that if the air fare wasn’t subsidized, no airlines would service the airport. Since 2007 many members of Congress (enough to block a vote on reauthorization) have insisted that this subsidy program be scaled back, or even eliminated. This year, Congressman John Mica (R. Fl.) inserted a provision in the FAA authorization bill that would limit subsidies to $1000 a ticket. But, a few “influential” members of Congress have blocked any such cutback, because, you guessed it, it would cost them, and their constituants, more money to fly. Here’s a sampling of those in the Senate that believe firmly that you should defray the cost of someone else’s air travel. Guess what airport that subsidy applies to? That would be the airport in Ely, Nevada…home state of Senator Harry Reid (D. Nv.). Well, Nancy needs some place land on her broom to visit Warlock Reid. How dare you question an entitlement of the ruling elite? Why are we subsidizing Harvey Rude’s flights? Because you can’t get anywhere with just a left wing. Kinda drives home the old mechanics mnemonic, but with your money. Righty tighty, lefty loosey. The old coot can’t fly into Vegas & limo home? New acronym:? NIMAS (not in my airspace).? Seriously?? These are the same dems howling at the moon because of our debt crisis?? Oh, dear Lord, please save us. Sorry winnie888, he can’t save us, only we can , with the common sense he gave us. Because we didn’t yell loud enough when we found out Pelosi was commuting from San Fran.? And we didn’t praise Palin enough for selling off the state?of Alaska jet. 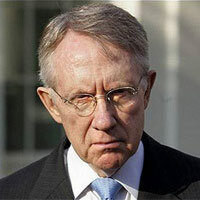 The Dems are “doing it for the children” (of Harry Reid and Baucus and Rockerfeller). These are hysterical. Why doesn’t the GOP use these for ads. However my answer to the question of the title “Why are we subsidizing Harry Reid’s Trips Home….” Because we want him to stay at home and get the h*ll out of Washington. 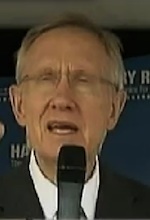 Uh, Rep. Reid that will be a ONE-WAY ticket, if you please. What happened to “the deal”? 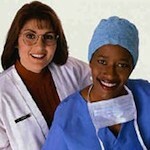 Plus … caption the picture c... Is Obamacare the end of employer sponsored insurance?